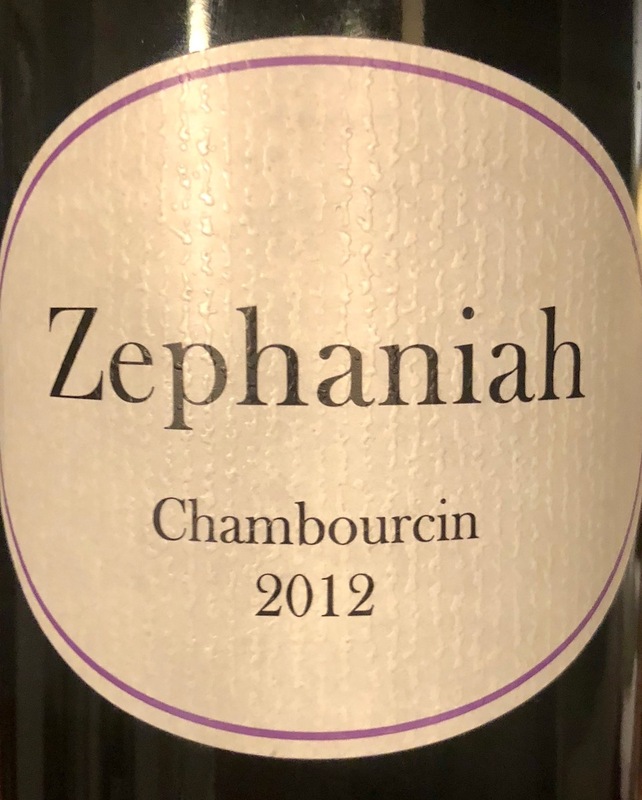 In sharing a monthly "best of" wine lineup each month of the last two years, we've tended to focus on very specific bottles we hoped you'd seek out. Call it 'recommendations with (usually) a loose theme'. On the heels of our piece last month, though -- Like a string of Christmas lights, our top December wine recommendations are all sparkling -- we've decided to focus our monthly wine tasting on a theme with some recommendations, rather than the other way around. Our hunch is that focusing on themes will be more useful than focusing on specific bottles that may or may not be available in your local market. To be clear, we'll share specific wines we love, but we want them to be in service of a broader theme. Seek them out, or seek others out that are like these. For January, we ask, which wines are best to drink when the weather is cold? 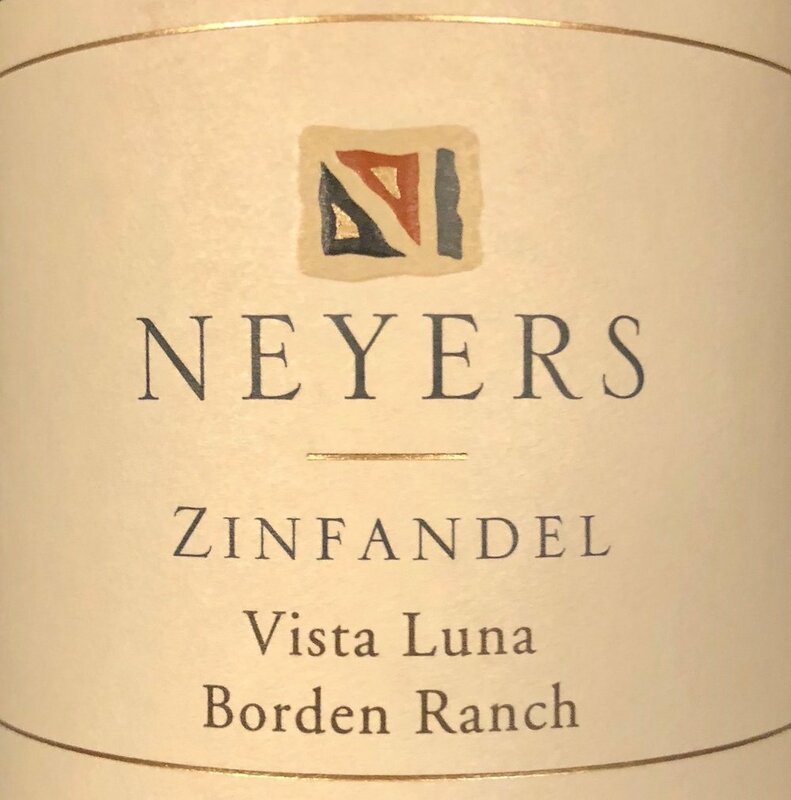 For years, I saw wine newcomers confuse true "Zinfandel" with the unrelated "White Zinfandel" pink wine popularized by undiscerning folk at big banquets and tawdry restaurants. This confusion, in my observation, has become vanishingly rare in recent years as red wine made from the Zinfandel grape -- big, powerful, high in alcohol -- has grown in popularity alongside America's wine consciousness. Popularly produced in California, the grape is known as Primitivo in Italy where it is made in a distinctly different style. Make no mistake: California owns Zinfandel. "Zins" (as they are often shorthanded) often demand to be drank with food. Their combination of robustness and higher alcohol content lend them somewhat the wine equivalent of a big winter coat: Enveloping, warming. We'll uncork a bottle from mid-autumn through mid-spring, but think the dead of winter is the height of drinking season for these powerful California reds. An eclectic nose of rasinettes candy, chocolate covered cranberries, lots of black fruit jams, and currant is offset by quite strong alcohol that that abruptly clears the senses for what is to come. It turns out to be much sweeter, bright, and fruity than what we anticipated. Think smoother and less brooding than other Zins you may have tried, and quite approachable. It actually shares some similar fruit characteristics to a Ribera del Duero Tempranillo from Spain, and doesn't come across with those hot earthen notes you sometimes find in other Zinfandels. We evaluate it as being bold without being huge. This is an excellent wine for the holidays, but equally delicious all winter long. Try it with Swedish Meatballs or a succulent lamb dish. It finishes with deer jerky flavors in the back of the mouth. This rather unique grape is produced with both enthusiasm and success in Virginia, along the mid-Atlantic coast of the United States. You'll not struggle to find bottles of it for sale at wineries in the state, though drinkers further afield may have to work with their local wine merchant to find a bottle either from Virginia or elsewhere. We love it in wintertime for its holiday spice and warming qualities. It is, in fact, one of the best wines for mulling (serving hot with spices) that we know. Though it is clearly a winner at Christmas, we recommend you reach for a bottle whenever the snow starts falling. Meghan knew this was a Virginia wine from the very first sniff. At nearly five years old, this 2012 is older than most Chambourcin you'll drink (generally in the 2-3 year range). That age has given it time to take on unexpectedly refined notes of smoke, green pepper, and burning cedar. Fear not, though, for the warm winter spice and baking spice in the finish still come out to play, just a bit less assertively. Swallow it down and breath out to experience a little clove and mild tobacco. True Port wine is a product of Portugal, specifically shipped and sold from the city of Porto, which rises from the banks where the Douro River meets the Atlantic Ocean, where festively colored buildings in seemingly ancient repose are crowned by a twelfth-century cathedral atop the hill, a stately contrast to the carnival of wine and revelry down at the waterfront. In times past, the rabelos, cargo vessels native to this river alone, hauled Port wine to this the only city from which it could be shipped. Indeed, this fortified wine made from grapes grown on the river's sloping hillsides has made the country famous in the hearts and palates of generations of connoisseurs around the world. Most often made from a combination of Touriga Nacional, Touriga Franca, Tinta Roriz (what "Tempranillo" is called in northern Portugal), Tinta Barroca, and Tinta Cão, you're most likely to encounter the wine produced in the "Tawny" or "Ruby" variety. Simple rule of thumb is that Tawny will convey notes of caramel and burnt sugar while Ruby's notes will be far more fruity. We also love "White" Port, though it is far more rare and less well suited to winter than the other two. A bit heavier in the mouth, and delightfully warming as it goes down, we suspect you'll enjoy this as an after dinner drink during the coldest months. It was quite easily one of the most stunningly beautiful vineyards we'd ever seen. Vines covered in autumn's reds, yellows, and oranges stretched in neat rows towards green fields beyond, a country road turning around the next vineyard where houses dot the hillside, river and mountains beyond, white clouds streaking across the crystal blue sky above, all seen through the floor to ceiling window in the tasting room at Quevedo, one of the Douro's finest port wineries. 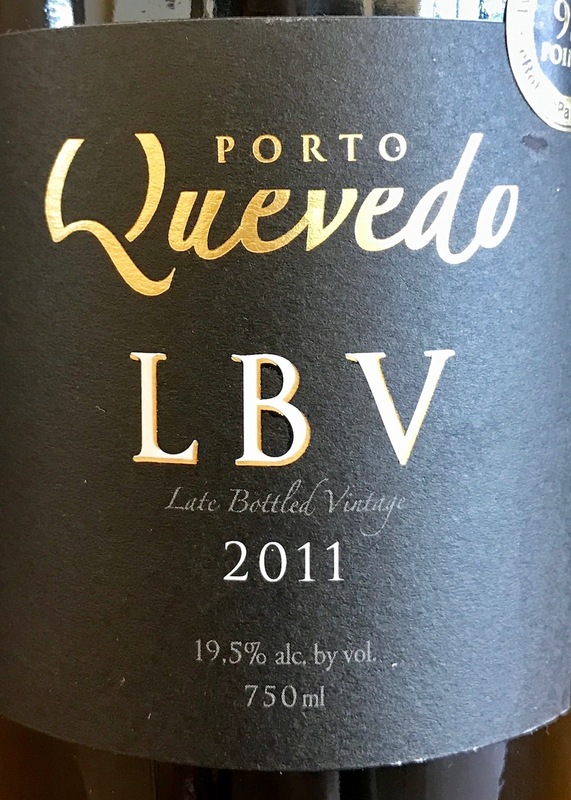 This ruby port was bottled in 2015. Your port education here is that port designated ruby ages one to two years in the barrel before aging in bottle. Different barrels will produce different aromas. This one was more playful, with cherry vanilla and fruit aromas that gave way to a tart red cherry and a little bit of cranberry.